You know when you hear about a cool event that a bar or restaurant hosts regularly and you think to yourself, "Self, I should really check that out," but then somehow life gets in the way and you still haven't made it there yet? 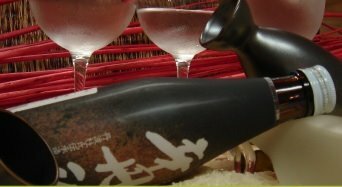 Well, here's one on my (too long) list: sake night on Thursdays at Wasabi. Taking advantage of the nifty sushi conveyor belt, Wasabi adds two-ounce pours of chilled sake to the rotation each Thursday from 6-9 p.m., allowing guests to sample and compare the dozen or so choices. Glasses are priced at around $3-$7.